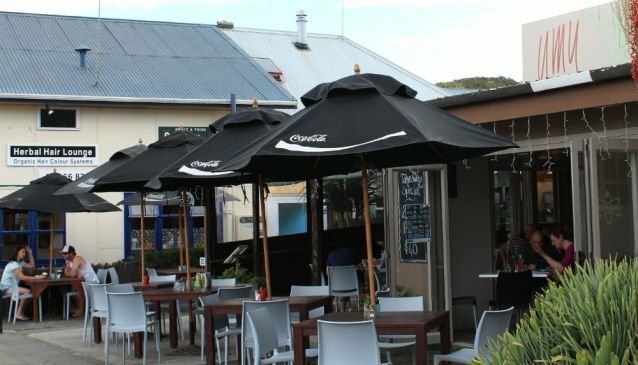 Situated in the heart of the pretty seaside town of Coromandel, Umu Cafe is a casual café and bar which includes an outdoor dining area to enjoy a coffee or something more substantial. Breakfast is served from 9.00am until 11.30am, featuring eggs Florentine, a fully cooked breakfast, pancakes, toasted bagels and a vegetarian breakfast option. The lunch menu includes good value choices with Angus beef burger, classic toasted club sandwich, spicy pork roll and fish and chips featuring. The dinner menu is served from 5.00pm and offers locally caught fish, grilled lamb rump, tender chicken thigh, baked Marlborough King Salmon and Angus scotch fillet steak. A pizza menu is also available. Open seven days a week, a wide choice of counter food is on hand to accompany freshly made coffee and tea. Free WiFi is available.